This ebook contains 450 model essay of score 6 (1-6 scale). Each essay wan written on one of the topics from the ETS official list. This eBook covers 100% of those topics. This ebook offers an intensive preparation for the TWE test. 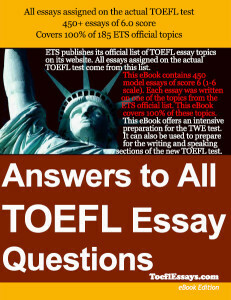 It can also be used to prepare for the writing and speaking section of the new TOEFL test. 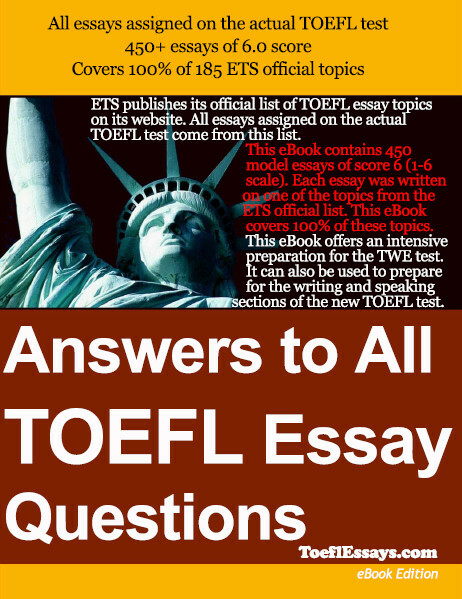 If you have worked your way to this point in this book, you have done some of the best preparation possible to maximize your performance on the TOEFL essay test.